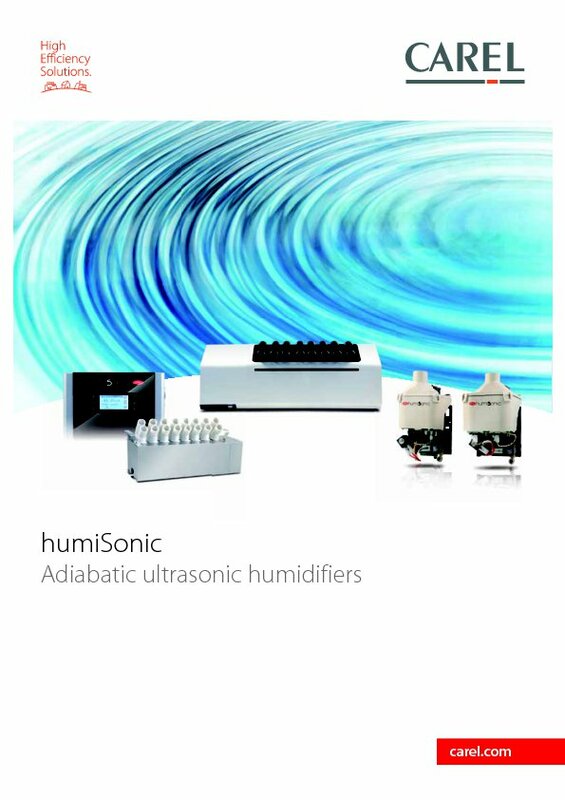 humiSonic for air handling units makes adiabatic humidification available to smaller ducting systems. It is an higher energy efficient system compared with electric steam humidifiers. Energy consumption per kg of evaporated water is in fact 90% lower than with steam. Installed directly in the air flow, humiSonic can atomise water into very small droplets (5 µm on average), which are instantly absorbed. It is available in capacities from 2,4 to 18 l/h. availability of Modbus® protocol and communication with different types of control signals.